Now is your chance to meet everyone at their official Grand Opening is this weekend. It will be on Saturday Feb 11th from 12pm-7pm. It's open to the public so come and celebrate! 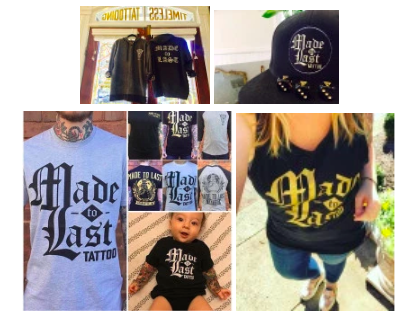 Made to Last Tattoo is Charlotte's newest hot spot for quality tattoos. 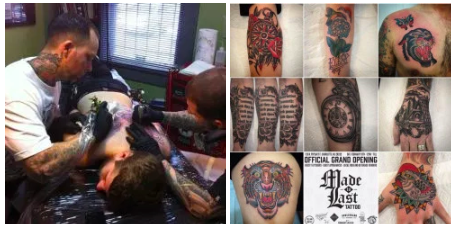 The new staff has an incredible amount of talent to offer the Queen City, whether you are interested in getting your first tattoo or you're itching for that ninth one, like me. That's one of the many great reasons to have several different artists under one roof. Whatever you need, there is an artist that will match your style. MTL has the perfect lineup for exactly that. Facebook Invite Info: We will have food & juice trucks, catered sushi and vegan tamales, an espresso bar, beverages, guest tattooers, chair massages, tin type photography, hot rods, local vendors, photo booth and all sorts of surprise and guest appearances from some unbelievable tattooers and people from around the country! 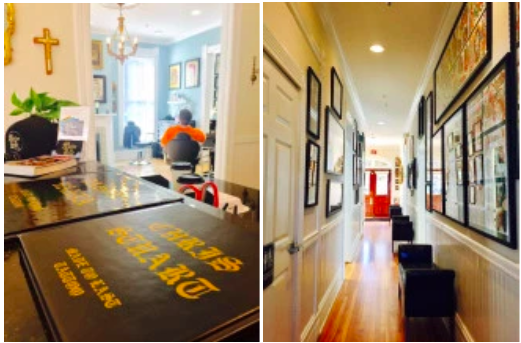 Made To Last Tattoo is located in the historic Bagley-Mullen House in 4th ward. Here's a little brief history if you're curious. Charlotte has fewer and fewer historical sites by the week with all of the new construction, be sure to know about the ones that remain. Each of the rooms in the home has a given neighborhood name. We have a lot of great tattoo shops here in Charlotte that most of you are likely familiar with, like Fu's, 510, Ace, and so manny more. You might recognize some of the artists' names that have joined the new team here at Made to Last. With the already great lineup, MTL will be hiring 2 more artists coming on board this summer and will also be featuring guest tattooers from all around the world. Brian Leebrick | @brianleebricktattoos & Graham Beech | @grahambeech Joining this summer! Several of the artists are booked through Spring so schedule a consultation soon and get your next (or first) tattoo! ...and check out their comfy merch!